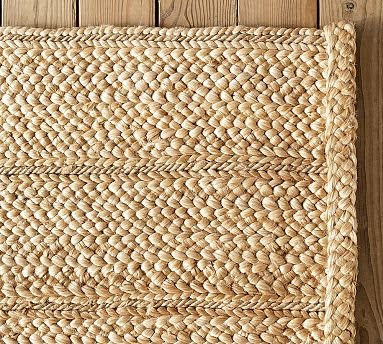 I just love the look of this jute area rug from Pottery Barn. Great price as well. I used to have one just like it in my LR but then I found the antique one to replace it. It adds such warmth and texture to a space. Reminds me of all of the houses in England. Some people think that it is like sisal and very scratchy to the touch- but it is really quite soft. 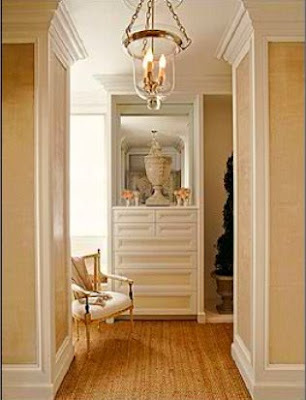 I first used it in my master bedroom dressing suite at the San Francisco Decorator showcase house. I used the jute wall to wall and loved it. Since then- I have done my whole office as well as my bedroom at home too. 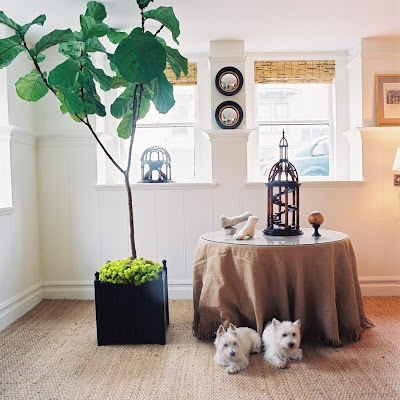 I agree on Jute rugs, they are stylish, fresh, easy and they go with any kind of furniture, classic or modern. Love them and used them often. I'm debating getting this very rug from Pottery Barn, but I'm wondering about maintenance. (Right now I just have hardwood floors.) I don't have any pets, but I do live with a very messy bear. I've had a hard time convincing my partner to do a wall-to-wall jute in the office of our bungalow, here in WNY. I love the look. Great blog! I do have to say that you can't spot clean it. We have a "no red wine" rule in the office- because if that spilled- it would be all over. Easy to vacuum- and I go barefoot all of the time. I have hardwood floors in the rest of the house and very minimal shedding on the floors. Vacuum it a lot when you first get it! 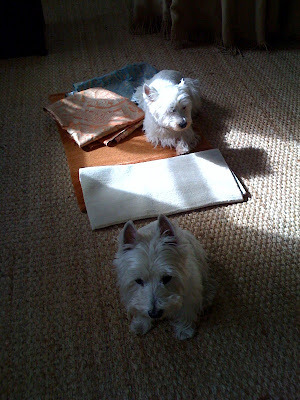 I love the rug and the dogs! I will buy the rug. Perfect for my living room with white linen sofa and Swedish chairs. Thank you for your info. and insight. Love the dogs! I have one myself! What can I say. They are the best!. Ok if the girls see this post so is the lab. Wall to wall Jute is a great look. The rug is terrific...is it Pottery Barn's knock of Norwich, or rush, matting?